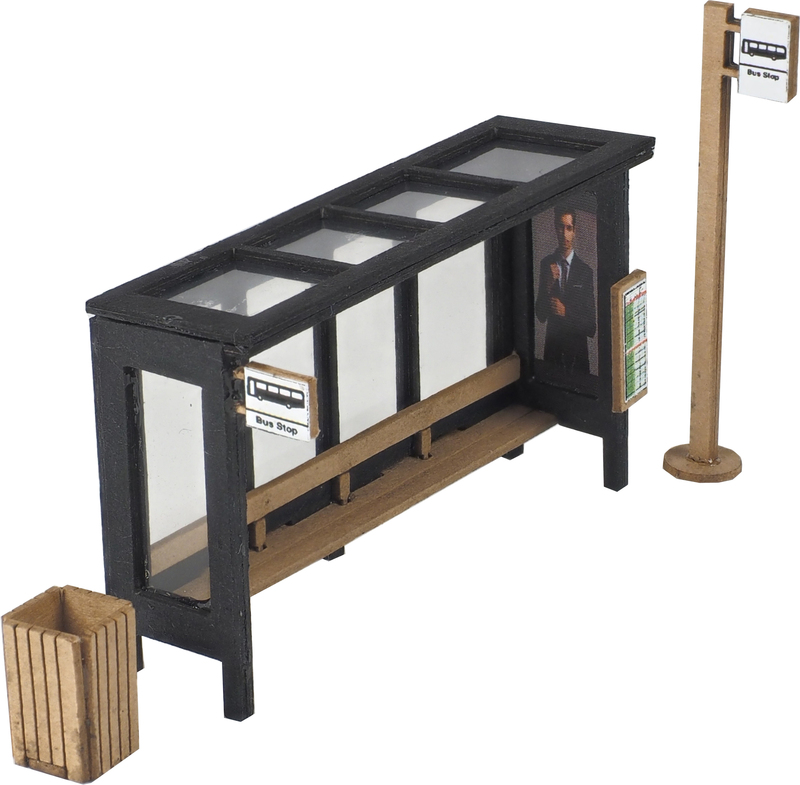 A modern style bus shelter. 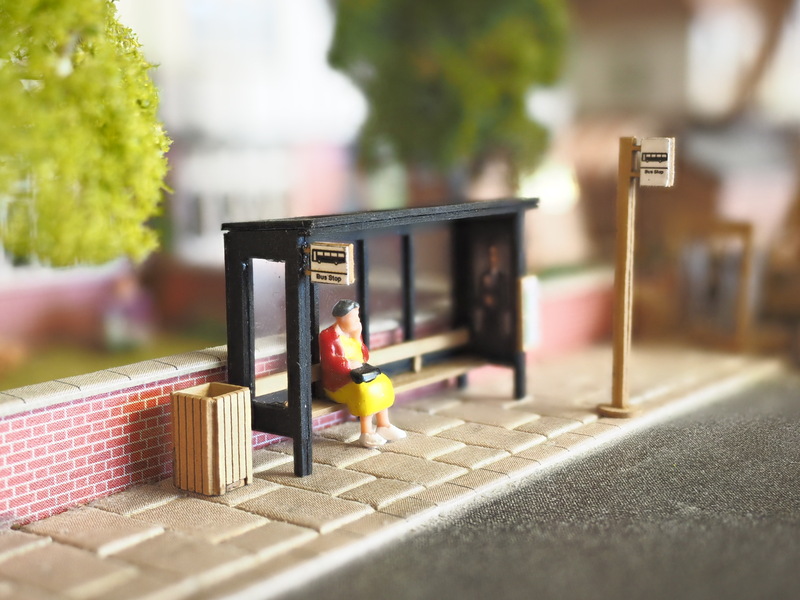 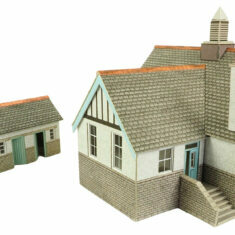 A finely detailed kit that features a laser cut bus shelter, litter bin and bus stop signs. 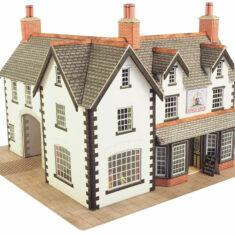 Also contains a variety of advertising posters and timetables to customise the look.